Okay, this is the most awesome picture I have seen in 3 years. I have been praying for 3 years that peace would come to Syria. 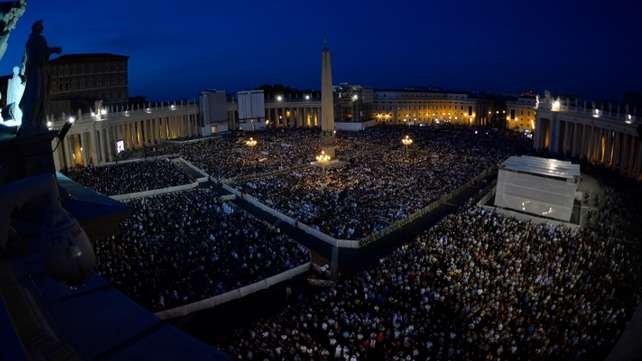 This is actually a picture of 100,000 people in Vatican City praying for the same thing. I am so happy 100,000 hearts came to any place in the world and wished, hoped for life to continue on in Syria. The world loves you Syria. Please know that. Why? Why does this have to keep happening? I beg of these people to please stop it, children are being killed, slain and left for rot. I cry for all of the children in The Middle East. They don’t deserve this, please stop killing them.